Team Building With Medtronic Ltd. The spectacular Coombe Abbey, nestled beautifully in rural Warwickshire, was the latest stop on the Team Challenge Company roadshow of Southern England. A group of 40 from Medtronic Ltd tackled the ever popular Crystal Challenge. A fun filled, action packed afternoon of physical, mental and problem solving activities lay in wait for the eager group. Split into 6 teams, they would battle it out head to head, all in pursuit of one dream - to win the coveted and highly sought after Team Challenge Company winner’s trophy. For one team, it would soon become a reality! The Med Hot Chilli Pumpers immediately hit a hot streak! They made the competition sweat as they bagged the first bonus crystal of the day, taking the acclaim for the best team name. Each crystal meant 3 seconds inside the famous Crystal Dome in our Dash for Cash finale! Team Crystal Meds dreamed of glory early on as they posted an impressive score on the NASA challenge, John dragging his team to not only lunar safety, but their first crystal of the day. The Pumping Pocket Rockets roared through the early stages of the competition with an efficient but effective performance on the physical Chicken Fox and Grain. They also got the heights with a bonus win on the Flag Race! The Meds and the Rockets had certainly laid down the gauntlet for the rest of the day! Could they keep this level of intensity up and blow the others away early? Time would only tell. The Pumptastics weren't far behind the early front runners as they hit an impressive maximum on the Archery competition. Some deadly arrows ensured that they were knocking on the door of the top two. Team Rejects even rejected the chance of winning crystals on their first few outings with one or two unlucky performances. They would eventually pick up their game as they conquered the Ring the Bell and shot spectacularly at the Basketball to maintain their meandering mid table status. The Whominators were also toiling in the searing summer sun as they were trounced by the tricky Interlocker and the tactful Towers of Hanoi. Crystal Meds continued to shine and lived up to their early billing as the teams reached the turn. The Pumptastics had a change in fortune as they racked up the best score of the day on the NASA challenge, propelling themselves into contention! The Rejects, who struggled initially, managed to manufacture an unbelievable turn in fortune as the home straight edged ever nearer. The individual bonus activities proving to be where they were most successful! The Buzz Me, Nail It and Drop Zone all conquered in what was a stupendous turn of form! Could the impossible happen? Could they come back and win from a first round knock down? It couldn't happen....could it? It wasn't all rosy for the Red Hot Pumpers as they hit a sticky patch when it really mattered. Failing on the penultimate and final activities, much to their dismay, would their fall from grace open the back door for an unexpected winner to sneak through? Their wasn't long to wait as the Finale loomed. Each team pushed themselves as much as they could in the latter stages. The Pumptastics continuing to deliver when it mattered. The Whominators slipped back into their old ways as they fell afoul of a hard run in. The Chilli Pumpers worked their socks off right till the end but would their efforts be rewarded? The Rejects continued to defy the odds and blitzed their last challenge. Crystal Meds also finished strong with some brave performances. It really was anyone's game as the teams awaited to enter the Crystal Dome for the last time! They all had their ups and downs, their wins and losses and the final tally revealed just what a tight race it had become. Each team except two had won an amazing 9 crystals! A fantastic return on their endeavors. The Chilli Pumpers and The Whominators were left on their heels and only mustered 7 crystals. It wasn't for the lack of trying however, as they did all they could do to keep up with the runaway pack. They had 21 seconds inside the dome. Everyone else had 27! 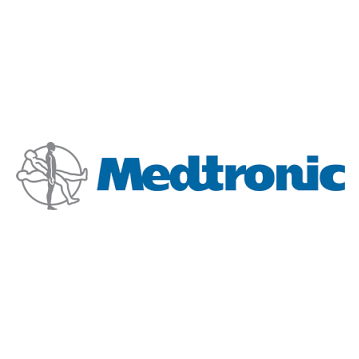 Would this prove pivotal in the outcome of the inaugural Medtronic Ltd. Crystal Challenge? One by one the teams sent their chosen one into the Dash for Cash. The team who grabbed the most would win the trophy. It was that simple. As the competitors focused on the task at hand they were met with rapturous applause. The hopes of an entire team hinged on them. And they knew it. Frantic flailing arms were greeted by a wall of noise as the baying crowd implored their team mate to rise to the top to grab more cash than the rest! They were all a credit to their team! Doing all they could in their search for legendary status. After the fitting, fearsome, frenzied finale the teams awaited their fate. All their efforts came down to this. In last position, taking home the dreaded Wooden Spoon award was Crystal Meds!! An unexpected, unrivaled shock to say the least! The early favourites succumbed to propping up the rest of the table, amassing a measly £400 from the dome! In 5th were The Whominators on £480. 4th were the Chilli Pumpers on £520. A less than flattering finish for a team who showed so much promise. 3rd were The Pumping Pocket Rockets who won £540. The big two were out on their own! Remarkably, in 2nd were The Rejects who defied the odds to end up only missing out on top spot by £60!!! Well done to them. A sterling effort. But the big winners, taking home the gong were The Pumptastics whose steady, measured efforts proved fruitful in their pursuit of greatness. £720 taken from the dome! A fitting end to what was a memorable afternoon with some genuinely brilliant people. Thanks for the memories! A huge thank you to John and Michelle who ensured their time at Coombe Abbey was both fun and constructive. See you next year for a rematch! We absolutely loved the Crystal Challenge and Robie was a fantastic host and all the team were great. We had a good laugh and bonded with equal measure. The Murder Mystery was another level! Professor Plumb and his crew were top notch and had us in stitches and everyone got fully involved. Please pass on our thanks and we shall spread the good word of what great events you put on!